"Through this journey I became more aware that I have to allow my feelings towards others and how I can be true to myself also in everydays life." 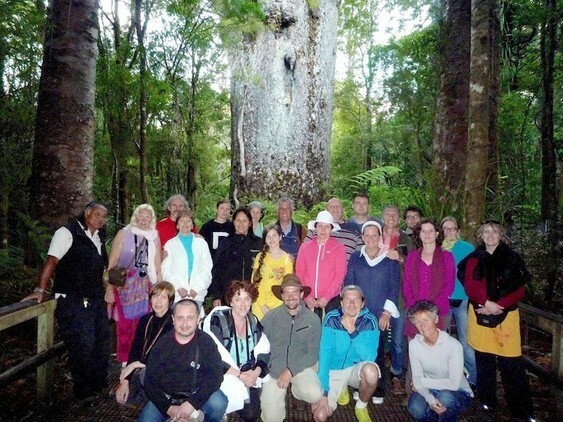 "I became more aware of Maori culture and its similarities to the Russian tradition. Even some similar words like Ra=sun; in Russian sun=URA." "On this expedition I learned about our own culture, a lot of things about myself and the relationship between me and my family." "The tour allowed me to work more deeply through some of my blockages." PLEASE WATCH OUR SLIDESHOW BELOW! On January 27, 2014, we were 24 people to embark on the initiatory journey "Maumahara Tour-remember who you are” designed by Iris and Ojasvin to help everyone " remember one’s true nature ”. 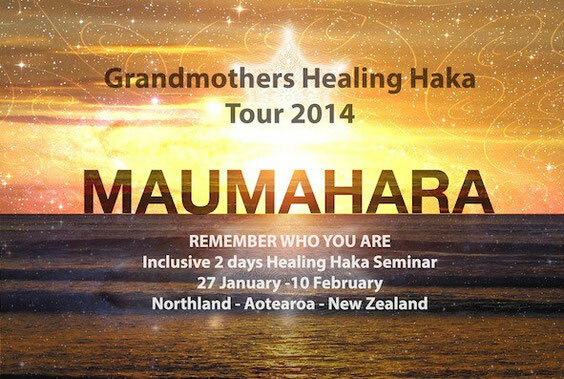 In Maori the word "maumahara" means " remember. " 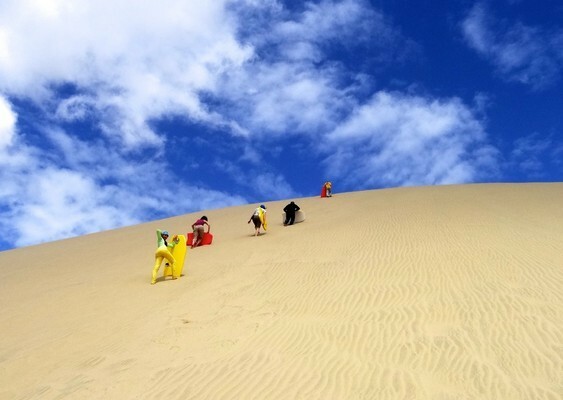 At the mere sight of the route and the proposed 15-day activities, we all know that it is really not an ordinary tourist trip, but we do not imagine the extent and depth of experiences that we are going to share. Our group looks really eclectic and brings together many countries: Russia, Bulgaria, Germany, Switzerland, France, Holland, Samoa, and of course, New Zealand - Aotearoa. Most of us coming from the other side of the earth, jet lag, summer in winter, smiles and friendly faces of each other, already reveal another world ... We do not know us, and yet we already feel close to each other, all having in common the deep sincere wish that this particular trip is a developer, a stimulating challenge, healing and transformative. Over the days that follow and are not alike, the different experiences that we all share together are working on our bodies, souls and minds, aimed primarily at the " primal mind " that dwells within us far beyond the different races, countries of origin, cultures or religions. Thanks to their natural simplicity, richness and intensity, these experiences come and touch a place within ourselves where we feel tangibly that despite our differences in shape and form, we all have the same origins. Despite each of us is very unique, has its own “original medicine”, as the Native Americans call it, he or she belongs to a broader picture and is one family. The " powhiri " (Maori welcome ritual) experienced at each new encounter of a family and of a land or place of Maori life (marae), confronts us with the formal way to of introduction to each other, letting the heart speak openly, although we do not know each other, in an atmosphere of deep respect and confident self offering. All this brings us together like one, heals everyone and all, and lets us feel the deep ties between the different kingdoms of the living world (mineral, plant, animal, and human). Every day, we shall observe that every experience of any member of that small temporary community has an impact on all the others and influences the life of the group. 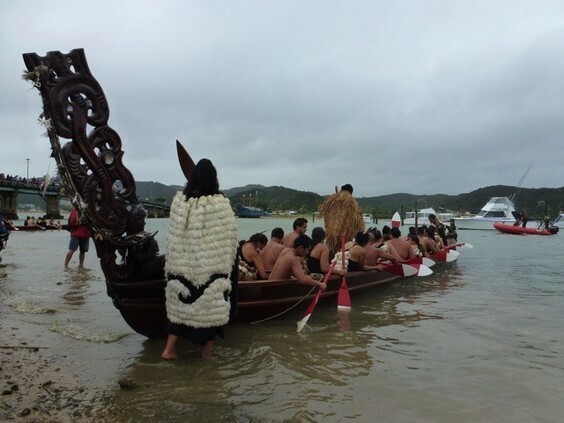 We experience concretely, tangible, the influence of prayer and rituals on everyday life and also the extraordinary sense of belonging to a family, the meaning of human extended family - whanau whanui. Then, after the Tour, we all can choose and set ourselves the purpose to honour as much as we can those sacred and indestructible ties that connect all beings and all things, and which is the sign of the divine origin. As in ordinary life, we were sometimes tired physically and emotionally by the intensity of what we lived, through work and intensive travelling; and also as in ordinary life, we lived happily, open, joyfully, loving, respectful, and full of energy!